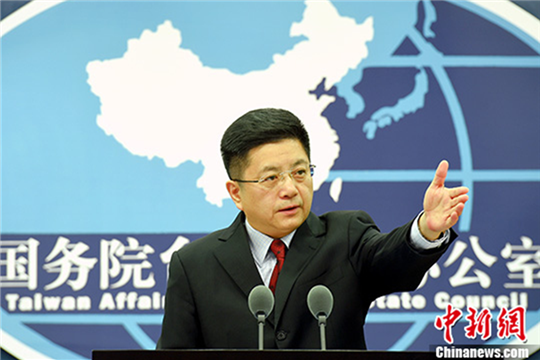 "We strongly oppose any form of official or military exchanges between Taiwan and countries that have diplomatic relations with Beijing," Ma Xiaoguang, spokesman for the Taiwan Affairs Office of the State Council, said at a news conference in Beijing. "The United States should be clear about who is unilaterally undermining the peaceful development of cross-Straits relations," he said, urging the US to adhere to the one-China principle and the three joint communiques, and to prudently handle Taiwan-related issues. Last month, the new director of the American Institute in Taiwan, Brent Christensen, said at his first news conference that the US had an "obligation to support Taiwan in maintaining a sufficient self-defense capability against coercion". On Nov 8, two Perry-class g[MG_SEO]uided missile frigates, formerly of thewristband maker US Navy and sold to Taiwan, were commissioned by Taiwan at the Zuoying Naval Base in Kaohsiung. The frigates were built in the 1980s. The sale of the two vessels was announced during the Obama administration in 2015. The ships were signed over to Taiwan and arrived last year. Representatives of the American Institute in Taiwan attended the commissioning ceremony and said in a statement that the sale is consistent with US commitments under the Taiwan Relations Act to provide military equipment that supports the island's self-defense. The frigates will improve Taiwan's capabilities in current and future defensive efforts, and support its continuing work to modernize its armed forces, the statement said. Taiwan leader Tsai Ing-wen said at the ceremony that the island is enhancing its ability to defend and safeguard its security. But Ma said at the news conference on Wednesday that "any attempt to resort to armed confrontation has no future". Under the current situation of cross-Straits relations, compatriots on both sides should jointly maintain the correct path of peaceful development, oppose any attempt at Taiwan independence and advance the process of peaceful reunification, he said.